the class in a state of flux, at a time when regaining forward momentum was an objective. Time will tell. Interlodge accurately represented their name today - controlling the traffic, blocking their path, and keeping everyone out of the way. 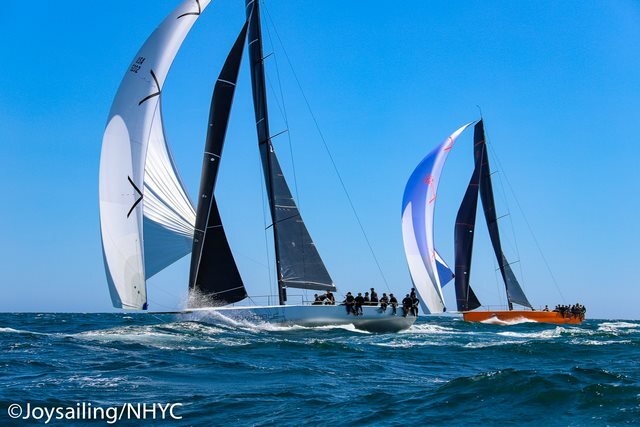 Four Pac52s stormed the Pacific for day one of the One Design Offshore Championship’s at Newport Harbor Yacht Club. Pac52s Interlodge, Rio, Invisible Hand and BadPak started this morning off the Santa Ana River Jetty and set out for three races of intense competition. Currently standing in first place is Austin and Gwen Fragomen’s Interlodge (4 points), followed by Manouch Moshayedi’s Rio (8 points) in second, Tom Holthus’ BadPak (10 points) in third, and Frank Slootman’s Invisible Hand (12 points) in fourth. The morning started off with a calm breeze from the south around 7 knots. The weather mark started at 170 degrees with a 1.6nm course, increasing in length throughout the day. Interlodge set the bar high, taking a bullet in race one and two and sticking in the lead during each of the two races. BadPak, struggling in the start of race one, came back from fourth place and finished second. Invisible Hand tried some new tactics in race two, using the middle of the course towards the leeward mark and hugging the beach on the left to the weather mark. On the other side, Rio’s forced tack out by Invisible Hand and lee bow from Interlodge didn’t stop them from finishing second in race two. The race finished with Interlodge holding first place, followed by Rio in second, Invisible Hand in third and BadPak in fourth. The course for race three was extended to 2.0nm with a 255 degree axis. The breeze picked up to 18 knots making for rough seas and the competition started to ramp up. Invisible Hand started the race well in first place and held their position through the entirety, pulling ahead of Interlodge. Unfortunately, they took what they thought was a bullet and turned out to be a disqualification of race three for a foul on Rio at the weather mark. Invisible Hand’s disqualification from race three took them out of their potential second place and put them at the bottom of the scoresheet in fourth. This misstep moved Rio into second and BadPak into third to conclude day one. 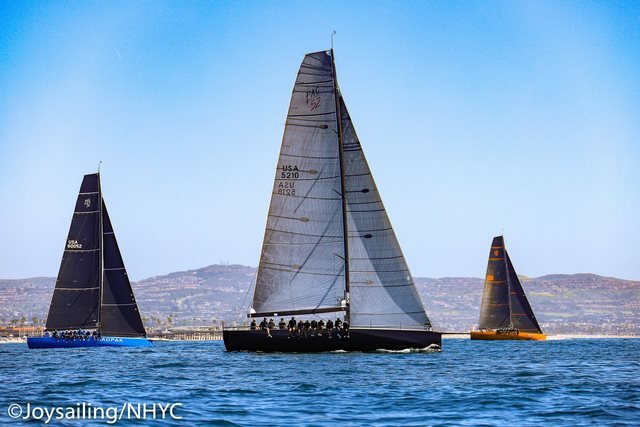 After the races, the Pac52 class joined the TP52 class for hosted dockside beer and a regatta social at Newport Harbor Yacht Club, where they celebrated and shook hands until getting back on the water for day two. The first warning signal will begin at 1130. 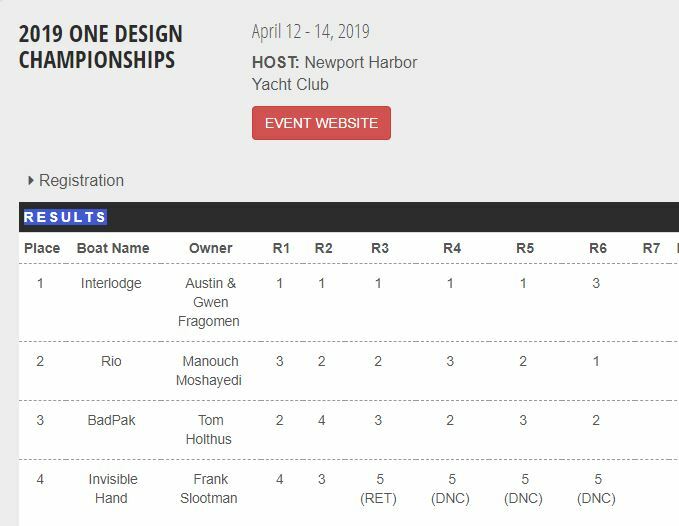 The competition got tough for the Pac52 class on day two of the One Design Offshore Championships at Newport Harbor Yacht Club. 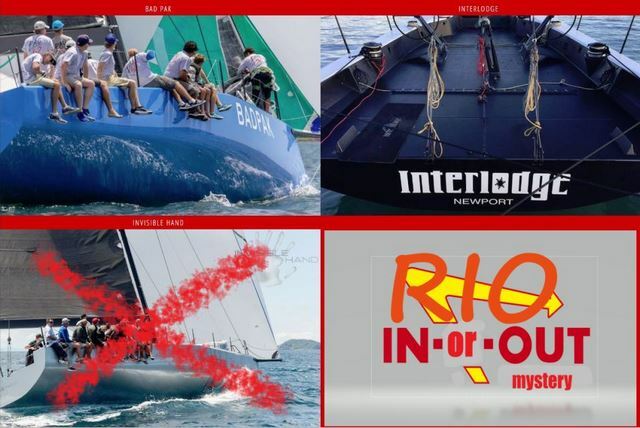 Invisible Hand resigned from the regatta after day one, making the racing for Interlodge, Rio and BadPak even tighter. All three remaining boats battled light breezes and experienced challenging sailing today in the Pacific. Interlodge currently holds their spot in first place with 8 points, followed by Rio in second with 13 points and BadPak in third with 16 points. Race one started over an hour late at 1235 with a 235 degree weather mark and a 1.55nm course. Boats lined up for sequence and awaited a full breeze before the first warning signal. Rio started off their day with an early start, putting them at the back of the pack for race one. Interlodge continued to lead the way in first, followed by BadPak close behind. BadPak and Rio shared similar tactics in race one, staying to the left while Interlodge went right. Unfortunately, it wasn’t enough to pull ahead. The course adjusted to 1.45nm on a 220 degree axis for race two. 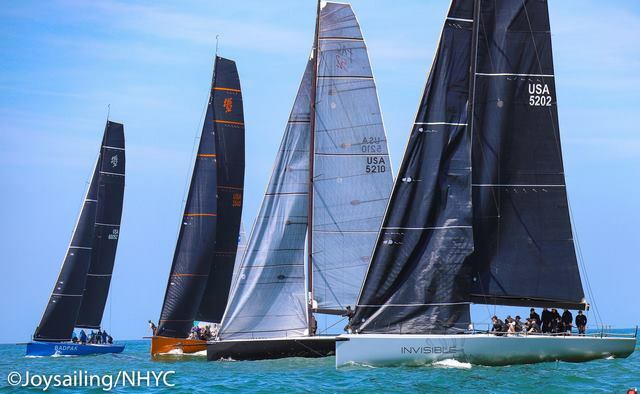 The breeze lightened up around 7 knots and all three boats had perfect starts. Rio made up for race one’s early start and sailed fast and strong to the first weather mark. Rio and Interlodge sailed a tight race, exchanging a tack at the second weather mark, with BadPak close behind. Interlodge kept their spot in first, followed by BadPak in second and Rio finishing third. The breeze continued to die down for race three, the final race of the day. At 6 knots, the course shortened to 1.3nm at a 215 degree axis. Again, all boats saw perfect starts. Interlodge started off the regatta on the left side, struggling to keep up with BadPak and Rio who went right. Rio, determined to beat BadPak for second overall, sailed fast to the final gate, coming in first. Close behind was BadPak in second followed by Interlodge in third. Rio Boat Captain Jeff Messano didn’t mind the light breezes today. “The races went well today. We had a 3, 2, 1. The light breeze didn’t affect us too much, either. The water stayed flat so the sailing was still good and fast,” he commented. 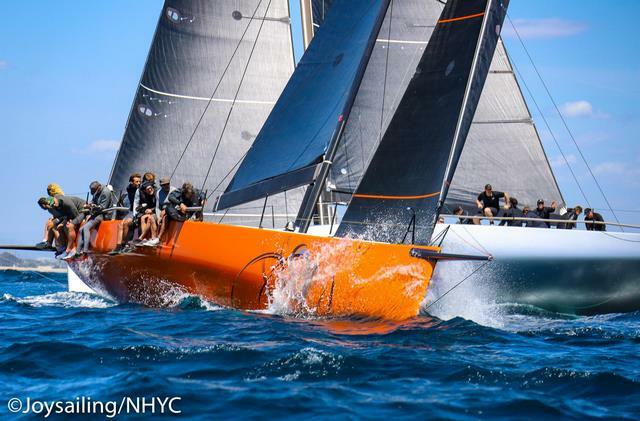 Day two of the One Design Offshore Championships ended with a mere 3 knots. Rio and BadPak finished the day only three points from each other, giving our sailors and spectators exciting expectations for the final day of the regatta. After today’s race, the sailors came together for camaraderie and a post-race social at NHYC. Tomorrow, the final series of races are expected to begin at 1130.